The idea behind dentistry is to not only provide you with clean teeth, but to help maintain your oral health and heart and body health. Your oral cavity is interconnected to your entire body; possibly giving new meaning to the saying, ‘You are what you eat.’ But it isn’t just about the food you put into your mouth, it also reflects upon the condition of your mouth. For the most part, if you have a problem with your teeth or mouth, a visit to your general dentist is the best place to start. For other issues you may need to visit Vancouver orthodontist Dr. Croft. So how do you know where you need to go for the best answers related to your problem? Let’s take a look at the similarities and differences between the services your dentist provides and our team. Your Vancouver orthodontist and dentist often work in tandem to ensure your oral health. Dentists will refer you to an orthodontist for issues related to teeth alignment, over and underbites, and TMJ issues. Together they may map out an oral treatment plan. Each situation and mouth is unique and it is our job to collectively join forces to keep your smile looking great. Do I need to call an Orthodontist or Dentist? General dentistry involves a wide spectrum of care for your mouth. Regular dental exams, preventative dentistry services, and oral health education are at the top of their priorities related to patient care. Dentists practice cosmetic and restorative dentistry as well in order to correct problems you’re having with your teeth and smile. 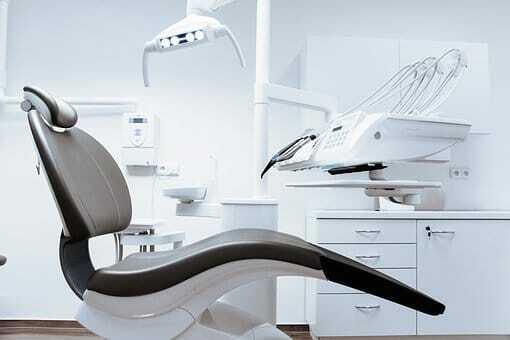 Orthodontists provide similar services and procedures. Our Vancouver orthodontist utilizes a variety of solutions at our disposal to straighten teeth which are misaligned or to correct a bite. Our goal is to take the work your dentist has provided you with and enhance it into a beautiful smile. What distinguishes an Orthodontist from a Dentist? Education is the main difference between the two professions. All men and women in the dental industry complete their undergraduate degree and then dental school. Individuals who wish to concentrate on a dental specialty continue their education for another 2-5 years depending on the specialty. Many dentists attend seminars and training throughout their career in order to offer their patients additional health solutions, but their experience in these areas may be less than a specialist. The choice is yours when it comes to selecting an orthodontist or dentist to handle your needs. Both are well educated. However, you probably wouldn’t allow your family doctor to perform brain surgery on you; you’d see a neurosurgeon because of their advanced knowledge and experience. The same holds true if you need or want braces to straighten your teeth. For the best solution we encourage you to talk with your dentist and our Vancouver orthodontist. Ask your dentist to refer you to our team. All it takes is a quick phone call or by filling out a short Doctor Referral page on our site. We build a united front in order to keep your smile in the best condition and health. Our Facebook page holds helpful information related to your oral health or you are welcome to call our office with your questions.